- 殘編 (Tanya Hsu) on 九月 25, 2017. Doro is a perfect and convenient place to pick up souvenirs and gifts for anybody on your list before/after visiting the tourist attraction. These little desk friends aren’t just plants. They are affordable gifts that can show your sincerity or help you to at least pretend to be thoughtful. Because they are (semi) custom made. 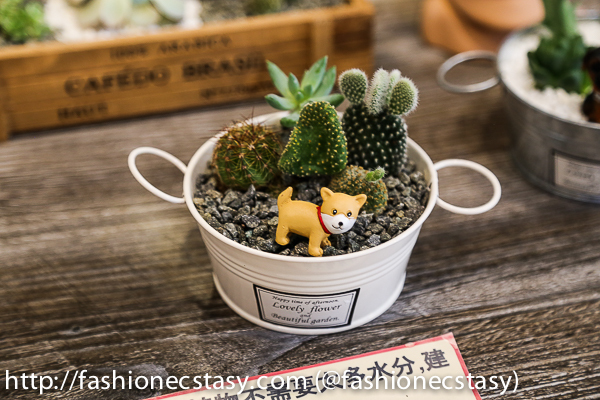 Shoppers can pick a plant along with mini figurines, including characters from the much-celebrated animation Totoro by acclaimed Japanese animator/artist Hayao Miyazaki. Totoro is my generation. One of the later known works of Miyazaki that might ring a bell is Spirited Away, and yes! You can find “No-Face (Kaonashi, the faceless ghost)” to accompany you at your boring desk, too. Hey, if your job isn’t paying you enough, maybe Kaonashi will like he does in the film. Why not keep him around as motivation? The shop assistant (sorry, still didn’t get her name) pays as much attention to details as the products they sell. She carefully explains the products that are safe to carry abroad and on a flight and those that are not, in English, too!